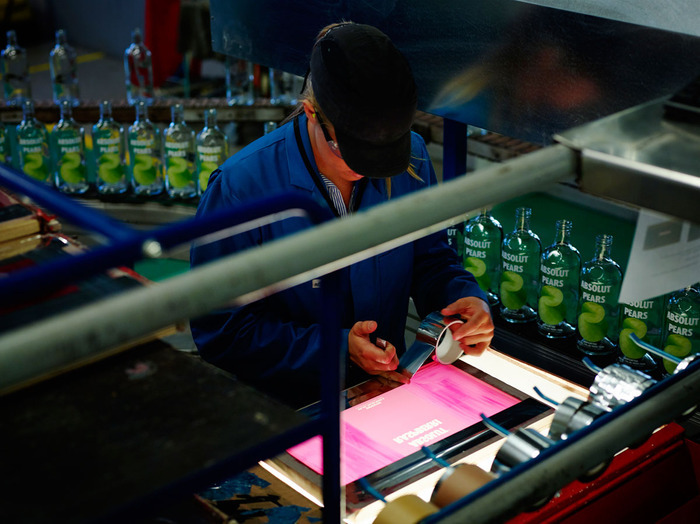 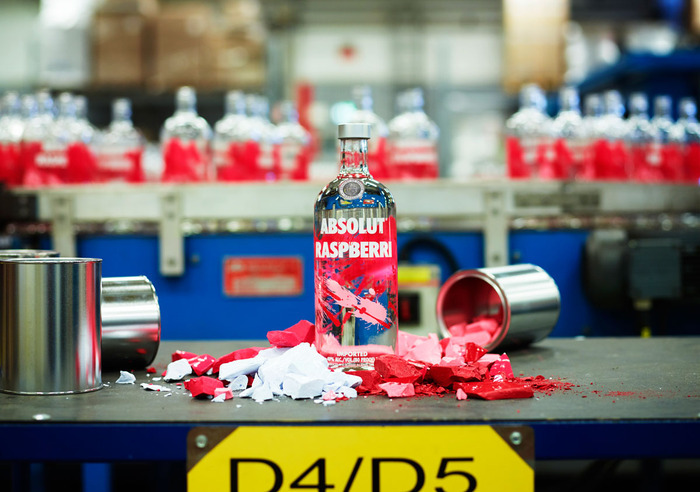 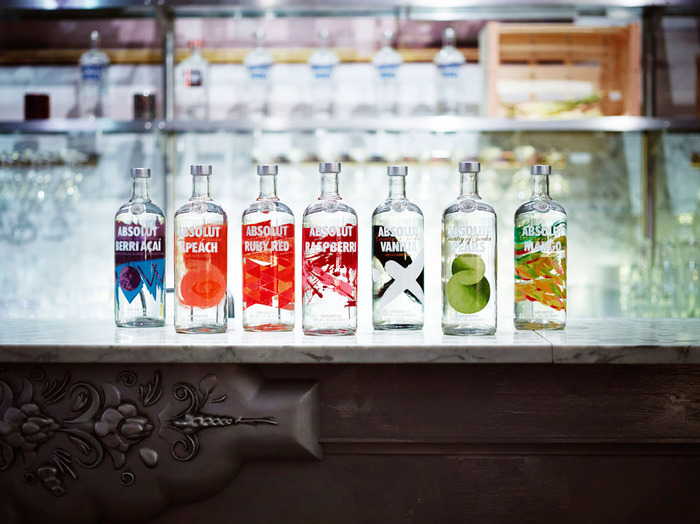 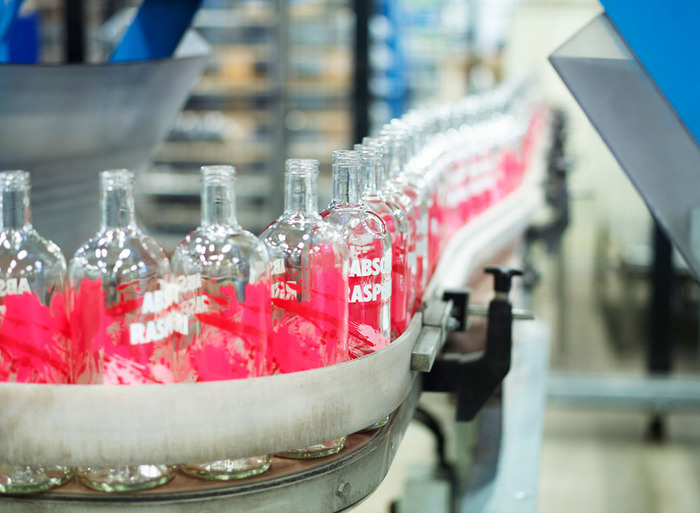 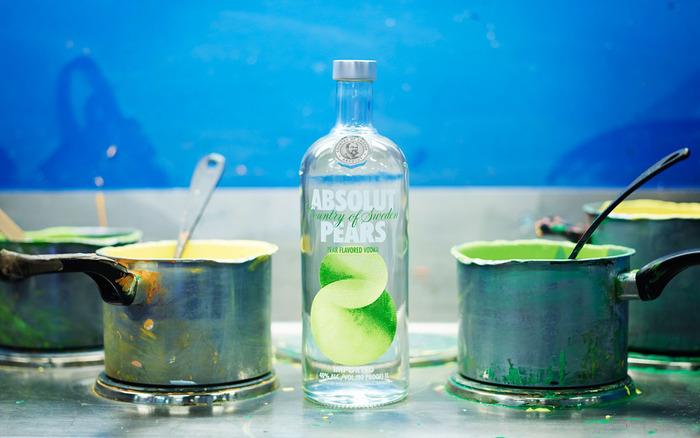 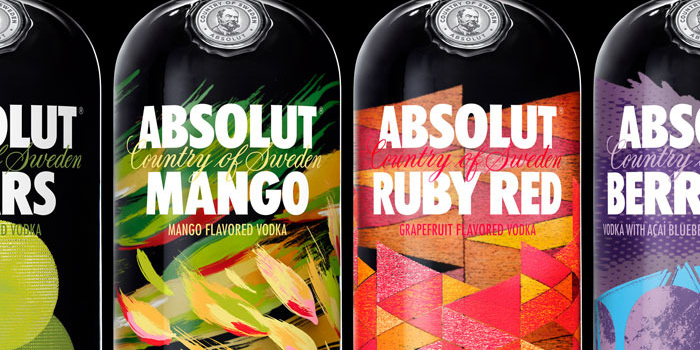 Fresh off the press: Absolut has launched a bold and artistic redesign of their entire range of flavored vodkas. 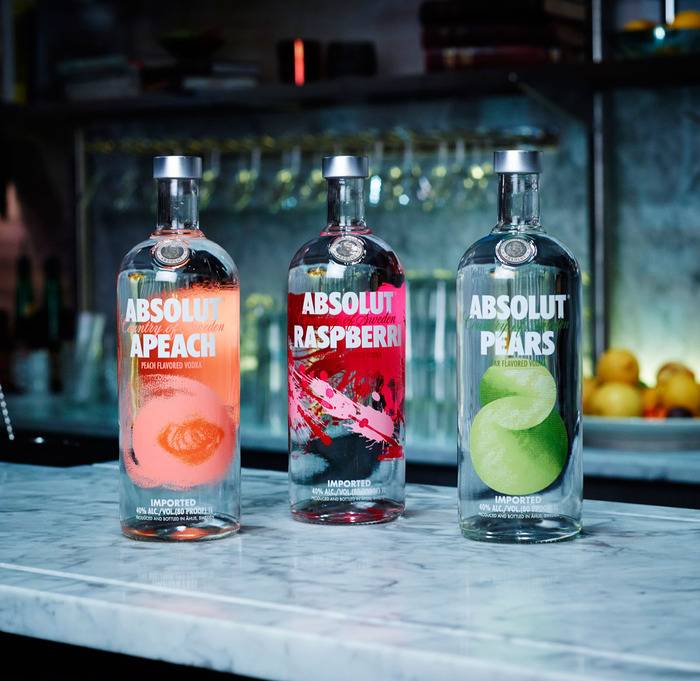 True to the brand’s creative heritage, the vibrant new designs bypass design conventions to artistically express the core essence of each of the flavors in the Absolut Vodka range. 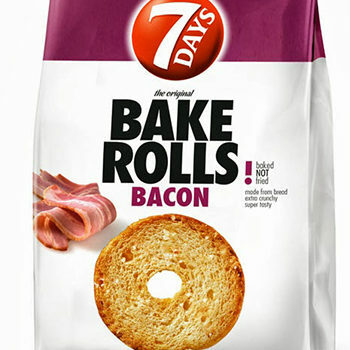 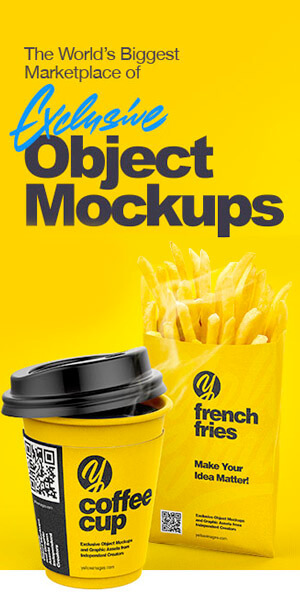 “This is one of the most dramatic changes we’ve ever made, and our biggest and most transformative design project ever. 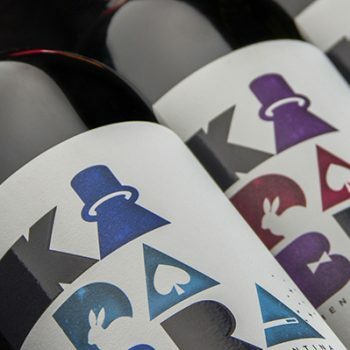 Our goal was to give our customers distinctive designs that are unlike anything one has ever seen. 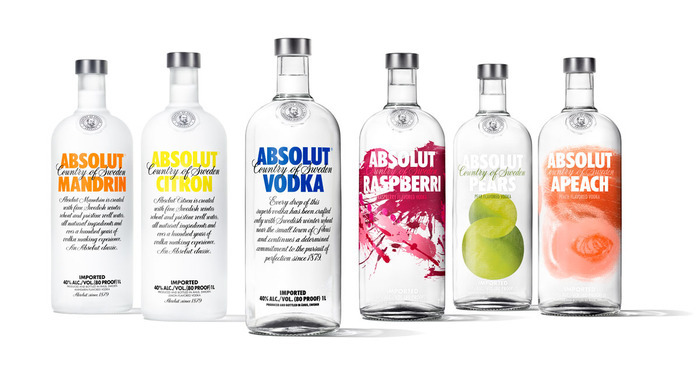 Vibrant, captivating bottles that bring energy to any occasion and celebrate the fact that every flavour in the Absolut Vodka range is something extraordinary. 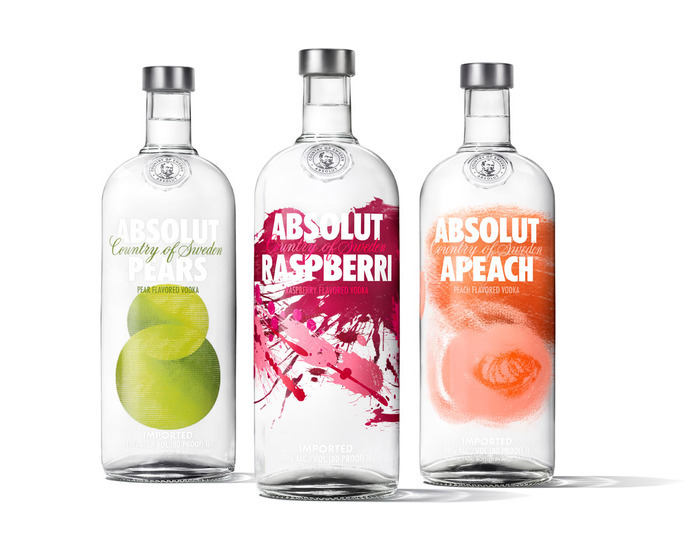 The standard thinking says a fruit-flavoured vodka requires a picture of the fruit on the bottle. 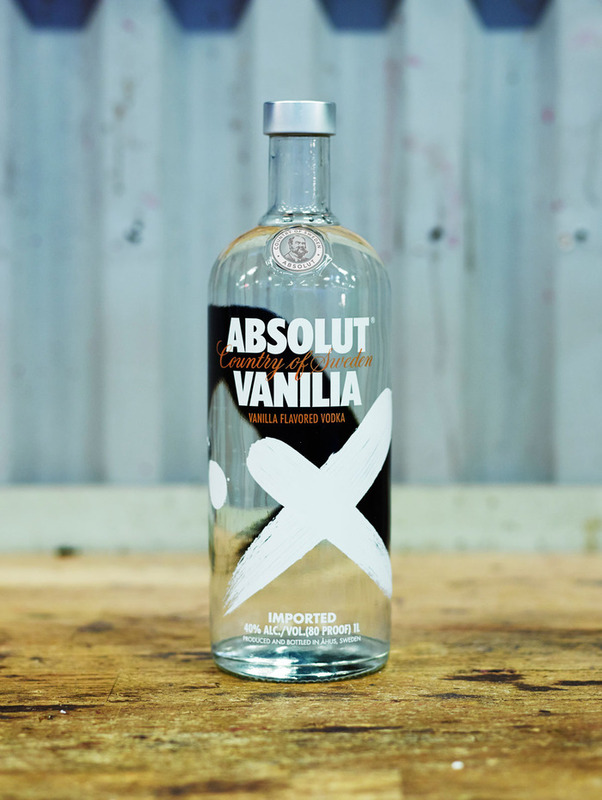 We wanted to break that convention. 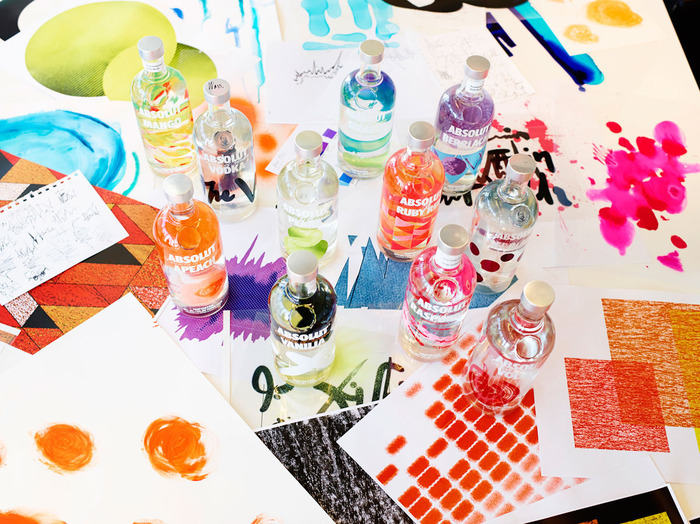 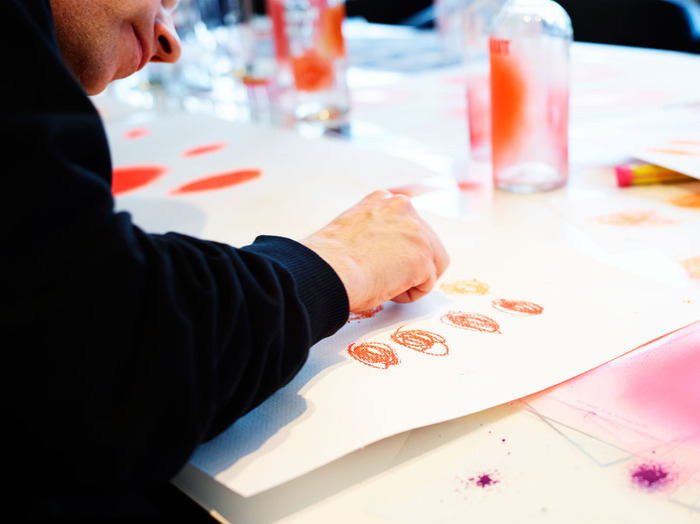 We asked our design team to reach into the symbolism and myths tied to the ingredients to find each flavour’s core essence – and then amplify that essence through art.” – Anna Kamjou, Global Design Director at Absolut. 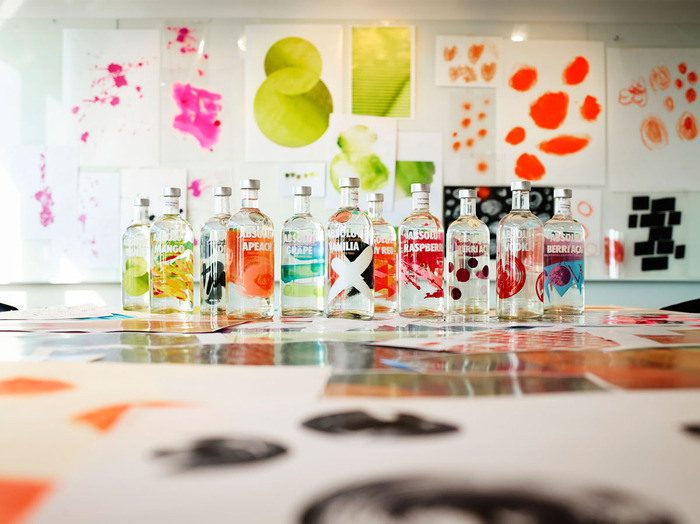 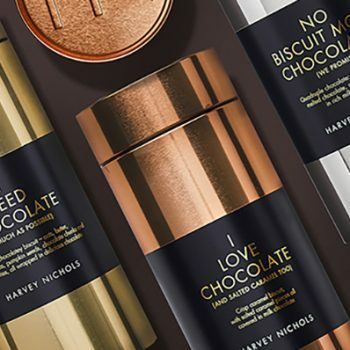 “Bringing an artistic approach to the redesign of its flavor range makes sense for a company with deep roots in the art world. 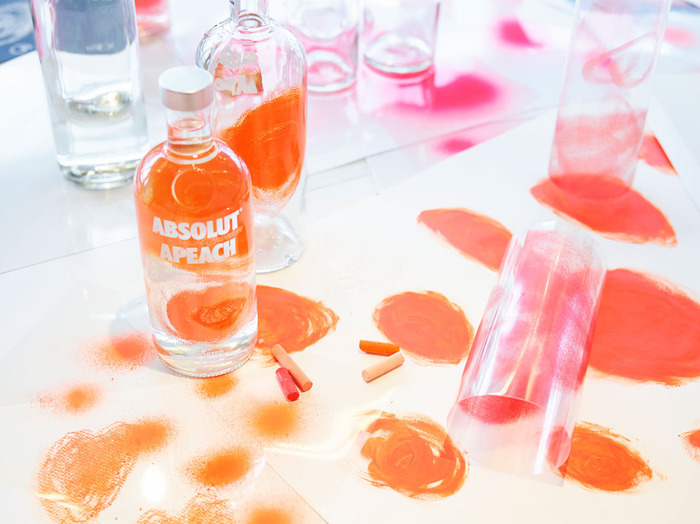 Since 1985, when the Absolut Vodka bottle appeared in the first art ad, Absolut has been making art part of its consumers’ experience.